You are now at the crucial stage of your course when you need to be combining revision with the development of exam technique. 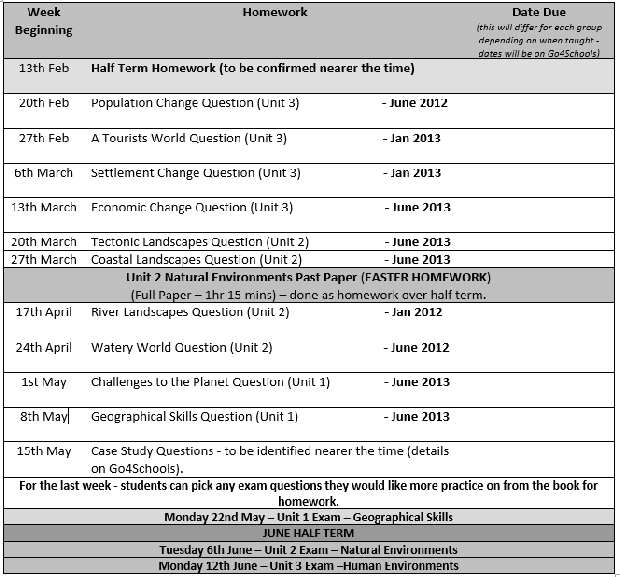 From now until you leave you will have a weekly homework of one exam question from the past paper booklet. Remember what you have learnt from your mock exam; read all parts of a question, look at command words carefully, define key terms fully and make good use of PSD. Plan your time carefully and don’t waste this opportunity to revise and practise exam technique. You can obviously do as many past questions as you like from the booklets (there are more available on line) but you MUST keep up to date in completing those set for homework.